Preschoolers are such a sponge! They learn through play and their minds grow and beg for more. 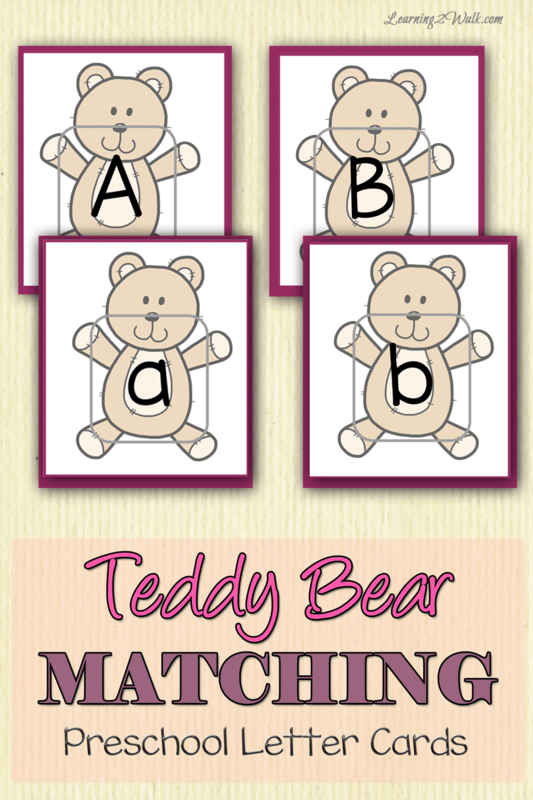 Using the Learning 2 Walk Teddy Bear Matching Preschool Letter Cards will help those absorbent minds grow in a fun and laid back kind of way. Without having to force any learning children will be excited to demonstrate their love for learning through matching letters. These fun teddy bears can also be used with any child brushing up on their cases.